Ryan: "It's when you have romantic feelings for someone whom you want to kiss." Lola: "Okay." Evidently that is what she meant. K. explained to Lola how they could just be very good friends since he was not only married but a lot older as well. And then we talked a little about etiquette. About how it's not polite to hit on married people. It was Friday the Thirteenth and the day started out like any other. I have never been afraid of that particular date, in fact I rather liked it. I thought it was special. And after living in Spain for a while, where it’s Tuesday the Thirteenth that has everyone avoiding ladders and black cats, I really didn’t have any negative associations with it. Around 11 AM my husband called. He was up in the UP skiing at Mount Bohemia. We were all supposed to go there for the weekend, including my brother-in-law and two of my nieces, but Ryan went up a day ahead. It was his first time on his new powder skis and he was very excited about finally being able to use them. When I answered the phone he told me the skiing was glorious. He had hiked up the mountain before they opened with another guest and made first tracks. The snow was great and he got a few awesome runs in. But then his tone changed. He said he was really calling with bad news; he had had an accident. He slipped and fell on his elbow and he thought it was broken. A trip to the local hospital confirmed it was indeed fractured. The tip of his elbow had a crack about a quarter inch wide in it. They put a fiberglass splint on his arm and wrapped him up. With a sling and a bottle of painkillers they sent him on his way, telling him he should look for an orthopedic surgeon first thing Monday morning. And so we did. 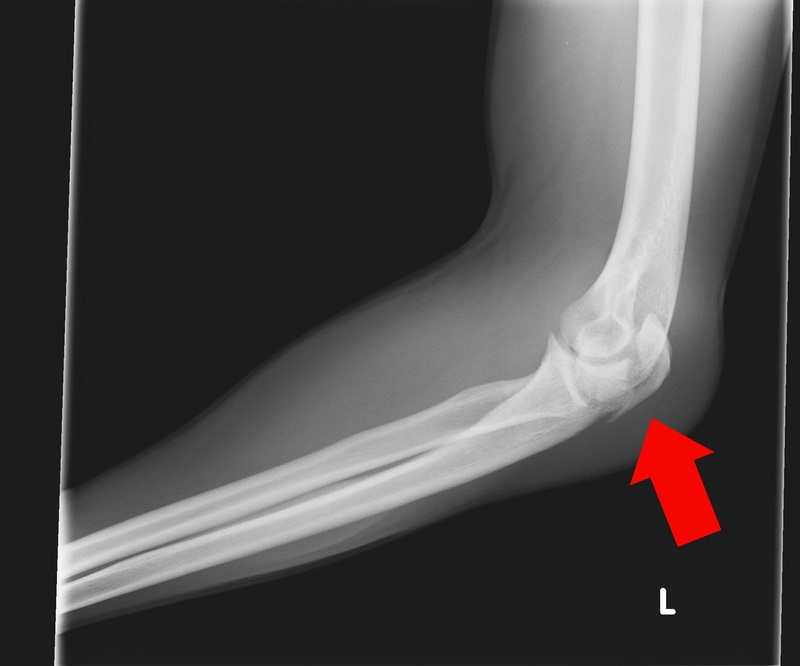 The doctor explained how he would screw two pins into his arm and tie a piece of metal thread around his elbow to pull it all together. His surgery was scheduled for Wednesday. He would have to spend one night there since general anesthesia was required. That was a bit of a disappointment. Both our fathers have just had a knee replaced under local anesthesia. But I guess your arm is higher than your heart and a spinal blocker is a bit of an issue then. The surgery went well. When they opened up his arm the damage turned out to be a bit more extensive than visible on the x-rays. Instead of two pins they put in four. Other than that, everything went as planned. I was able to take him home yesterday. He, and therefore I, had a very rough night but the pain has subsided some and is now bearable. He is starting to heal. In six to eight weeks he should be as good as new.